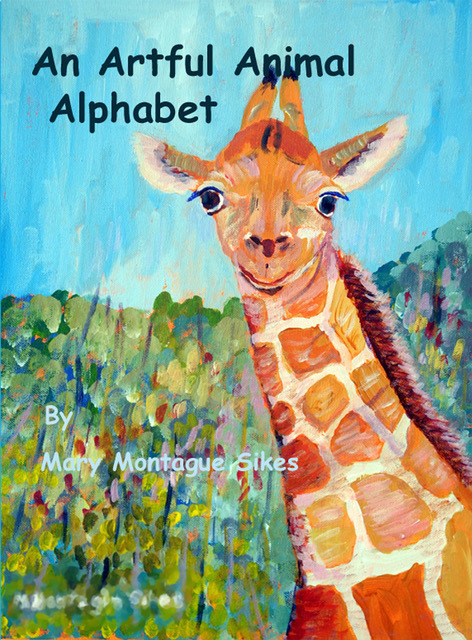 An Artful Animal Alphabet is a children's alphabet book illustrated with colorful and whimsical drawings of animals by author Mary Montague Sikes. Each drawing also includes paragraphs of interesting facts about the animals such as where they live, what they eat and unusual behaviors or characteristics. Did you know that alligators once lived in the lobby of the Jefferson Hotel? Old Pompey, the last of the alligators, is featured in her book. Each story can inspire a child’s own imaginative story or drawing. Some adults have purchased this “artful” hardcover for display as a coffee table book. A story about adventure, bravery, and friends solving the mystery of a strange object that appears on the beach. Young readers will enjoy this story on their own and younger children will love having it read to them. Mandy, Mindy, Misty is a heart-warming illustrated "golden rule" story told in verse. It's all about friendship, adventure, and kindness. Mandy, a sheltie with a big heart, Mindy, a bright and sprightly yorkie, and Misty, a sheltie who is a stranger to the neighborhood are destined to experience curious doings, strange developments, and unexplained happenings, all ending in friendship. Young girls dream of horses. Join Sadie as she discovers her birthday surprise in this illustrated beginning chapter book with coloring pages. Horses, Mystery,Travel: Susan Williamson is a horse person, gardener, writer, reader. She has worked as an extension agent, a newspaper editor, a community and adult education coordinator,the owner of a paint and wallpaper store, a riding instructor, trainer, barn manager, adjunct professor, and manager of a local farm to table coop. Currently she is writing, gardening and horsing around. The University of Kentucky and the University of California, Davis are her alma maters. 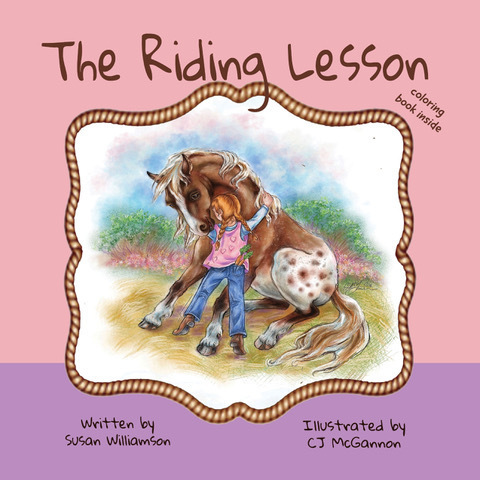 The Riding Lesson is available at Amazon.